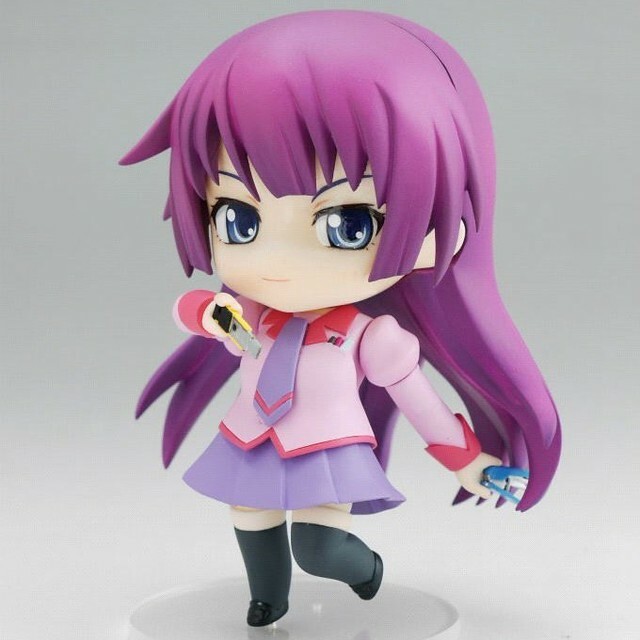 Nendoroid Sengoku Nadeko is Set to Join Hitagi and Co. 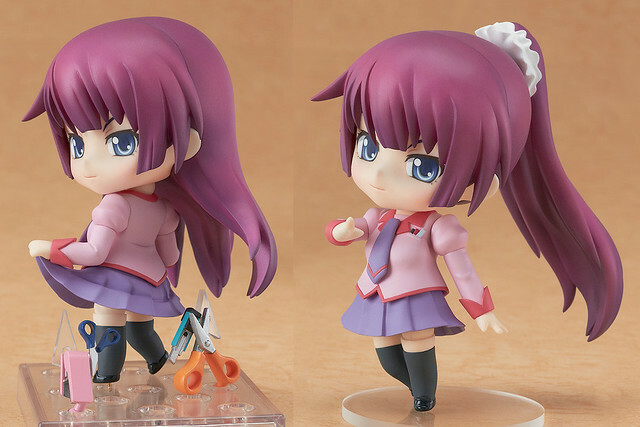 Ever since Hitagi’s entry in the realm of Nendoroid, the other characters girls from Bakemonogatari have been steadily following her trail – Mayoi and Suruga have been announced recently, and now it’s the shy Nadeko’s turn. Yep, Nendoroid Sengoku Nadeko has been spotted in the latest Hobby Japan scan, but sadly, there are no further info regarding her availability. 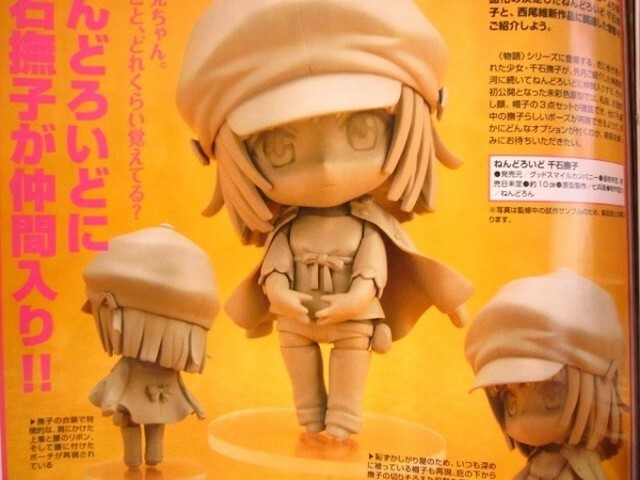 I guess the final colored version will be displayed along with other new Nendoroids on the upcoming Winter WonFes 2014. 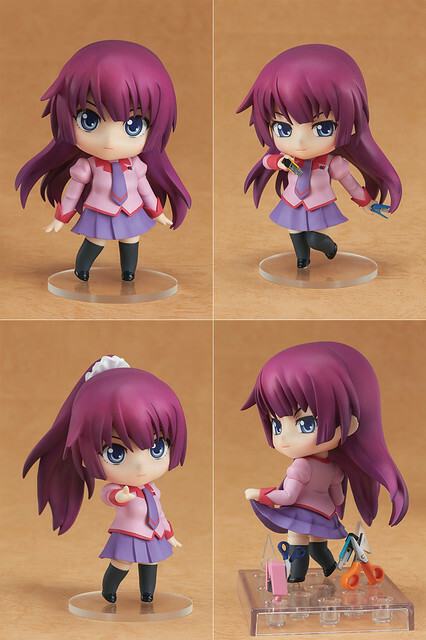 So the (arguably) cutest character from the anime series Bakemonogatari is finally made into a Nendoroid. 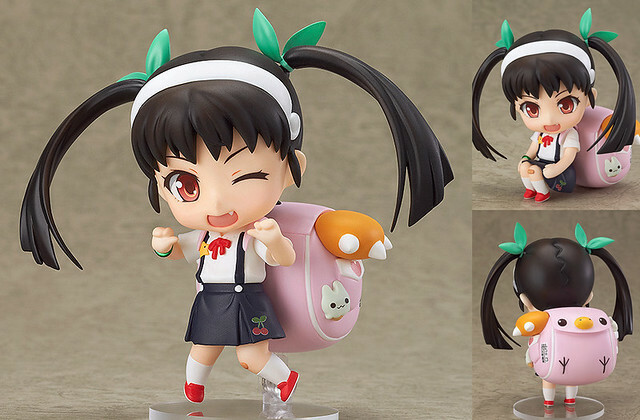 Yes, we have already know how cute her Nendoroid Petite version is, so we can safely expect similar feels out of the full-sized Nendoroid Hachikuji Mayoi. 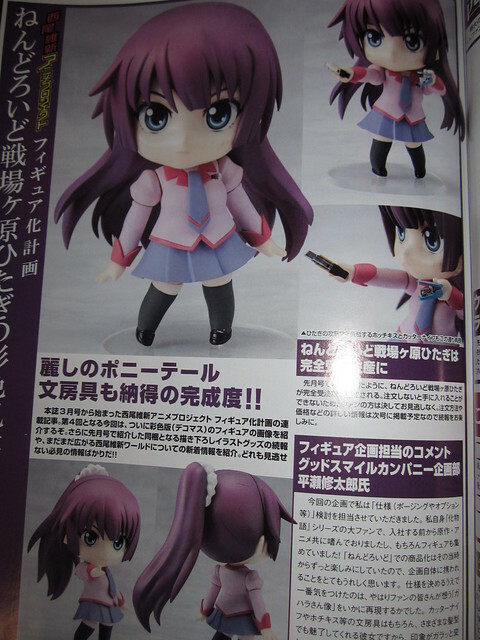 The second Bakemonogatari Nendoroid is the twin-tailed elementary school student! 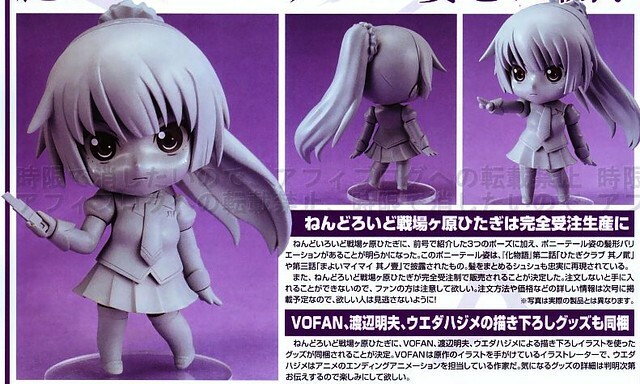 *ahem* In any case, she will be released on January 2014, bearing the price tag of 3800 Yen. Oh, and as usual, you can also see her up close on Kahotan’s blog.